Shaykh Yunus Palanpuri of India will deliver the Jumu’ah Bayan at our Masjid on Friday, August 03, 2012. 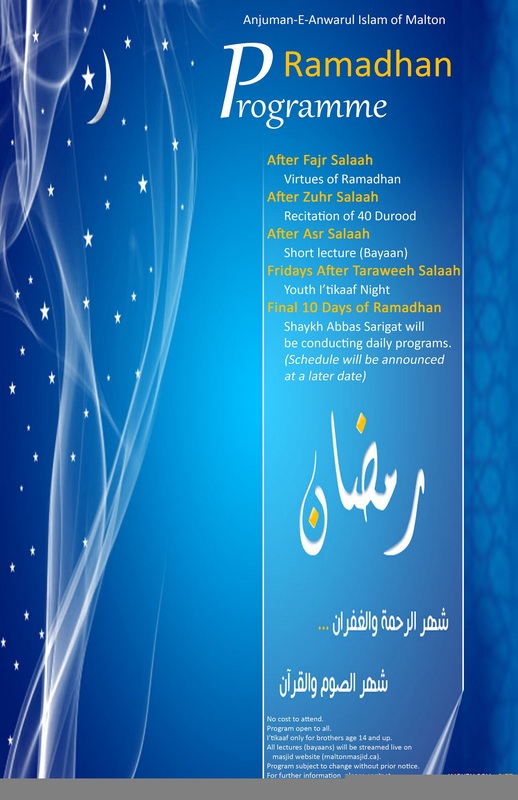 The lecture (bayan) will start immediately after Zawaal time has passed. Everyone is requested to attend and come early. InshaAllah the lecture…..
Mufti Habibur Rahman of Darul Deoband, India will deliver a lecture at our Masjid on Thursday, August 02, 2012 after Asr Salaah. Everyone is requested to attend. InshaAllah the lecture will be streamed live on our website. Mufti Shabbir of Kharod, India will deliver a lecture at our Masjid on Sunday, July 29, 2012 after Asr Salaah. Everyone is requested to attend. InshaAllah the lecture will be streamed live on our website. 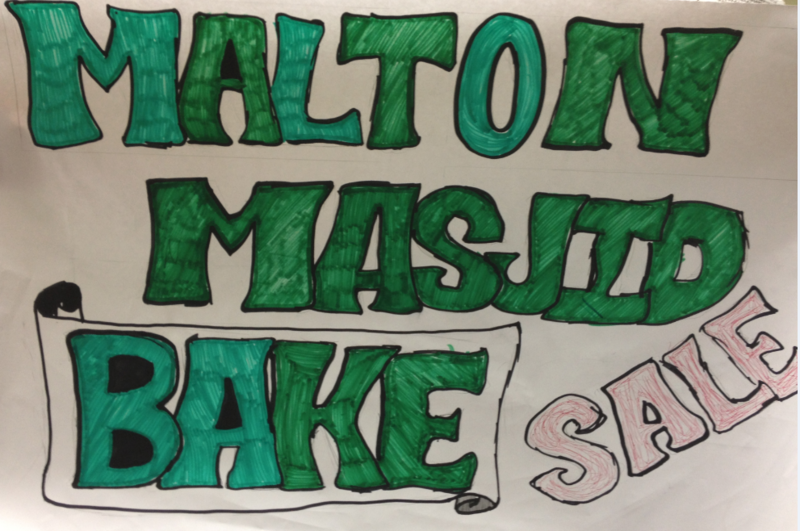 Every Friday & Saturday night after Taraweeh Salaah during the month of Ramadan a bake sale will be held InshaAllah. Profits will go towards the Masjid. All are requested to come prepared to purchase some delicious baked goods! Please click post title for full details. No Valid Sighting Reports. Shaban will complete 30 days. Ramadan 1st Day of Fasting will be on Saturday 21st July, 2012. RAMADAN MUBARAK! There have been no confirmed sightings of the new crescent in the parameters of the Hilal Committee…..
Shaykh Abdul Raheem Limbada of UK will deliver a lecture at our Masjid on Wednesday, July 18, 2012 after Maghrib Salaah. Everyone is requested to attend. InshaAllah the lecture will be streamed live on our website.